Bethesda has released a brand new patch of the fallout 76 for Xbox One, PlayStation 4 and PC, which include various performance, stability and gameplay improvements and many bug fixes to the game. This patch updates the game Version on PS4 to 1.0.1.9, Xbox one to 1.0.1.8, and the PC to 1.0.1.14. This update is large in size as Bethesda previously mentioned " This update will be large compared to what we expect for patches going forward. Regular updates will always vary in size, but future updates should be much smaller in comparison." ## General - Performance: Several issues have been addressed to resolve hitches during gameplay and other performance issues. 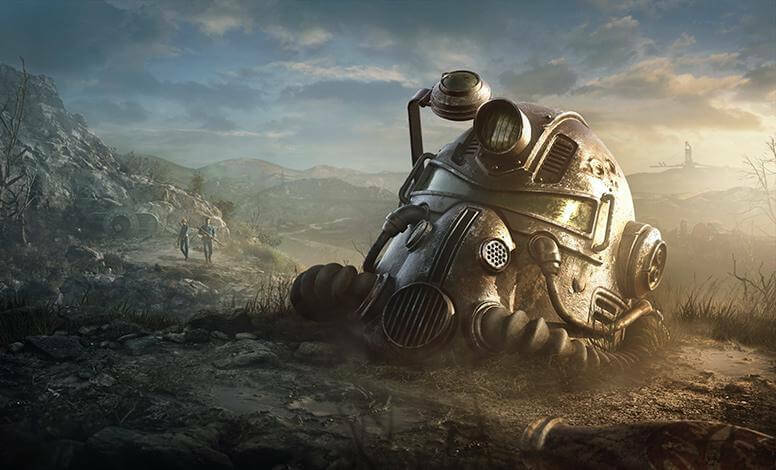 - Stability: The Fallout 76 game client and servers have received additional stability improvements. - Xbox: Fixed an issue that could lead to instability on certain menus. ### Art and Graphics - Ambient Occlusion: Placed items no longer leave behind shadow outlines after being picked up. - Camera: The game camera now pans more smoothly when the player enters furniture. - Graphics: The cover of Tesla Science magazine Issue 9 no longer appears solid red on pickup, or when inspected. ### Enemies - General: Fixed an issue in which some enemies could chase the player farther than intended. - Loot: Ghoul and Scorched Officers now correctly drop nuke code pieces upon being killed by a player. ### C.A.M.P., Workshops, and Crafting - Blueprints: Fixed an issue that could cause Blueprints to break into smaller parts after logging out and back in to Fallout 76. - Plans: Paints applied to Power Armor during the Fallout 76 B.E.T.A. will now appear correctly on the items that were painted, and those paints can now correctly be applied to additional sets of Power Armor. - Repair: Fixed an issue that could cause an item to return to a broken state after being repaired. ### Quests - Bureau of Tourism: The Prickett’s Fort Token Dispenser can now be repaired, and players can no longer walk through it. ### PVP - Pacifist Mode: Players with Pacifist Mode enabled who engage in PVP by contesting a Workshop owned by another player will now correctly deal full damage to that player as long as they remain hostile. - Respawn: Choosing the "Respawn" option after dying during PVP combat will now correctly clear any active hostile status toward other players. - Seek Revenge: Cap rewards will now display correctly when choosing the “Seek Revenge” respawn option after being killed by another player. - Seek Revenge: When targeted by another player who is seeking revenge, the reward amount will now display the correct number of Caps that can be earned by killing that player. ### User Interface - Languages: Korean fonts will now be displayed correctly in game menus. - Hotkeys: The “Take Photo” hotkey can no longer be rebound and is now tied to the space bar on PC and the A button on controllers. - Hotkeys: Fixed an issue that could cause the “Take Snapshot” button in Photomode to display an incorrect hotkey. - Social: Fixed an issue that could cause players to disappear from each other’s social menus if two players each sent a friend invite to one another. - Social: Fixed an issue that prevented newly equipped Player Icons from displaying to other players in the Social Menu." Fallout 76 is now available for PlayStation 4, Xbox one and PC.